Hi I was totally convinced of having planted a Senecio Dusty Miller which has yellow flowers but today my plant flowered for the first time and the flowers are pink. Any thoughts as to what it is? 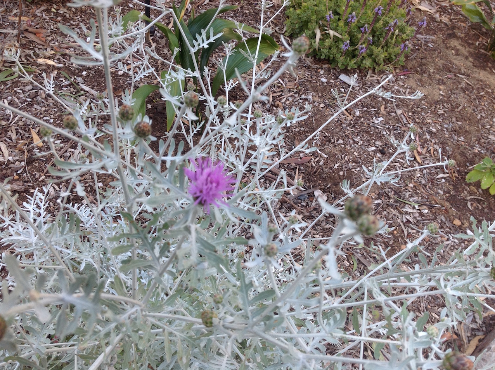 Hi Paula, It looks like Centaurea cineraria - this is flower in my garden now. I have propagated it from cuttings. Common names can cause problems. Comment on "Some type of Senecio?"